HTC posted a very respectable profit in Q1 of 2018 thanks to deal with Google. The agreement in question was originally announced towards the end of 2017, hence why the profit isn’t exactly surprising despite lackluster hardware sales, but it certainly puts the Taiwan-based company back on track after a tough year. The deal between the companies saw Google purchase a big part of HTC’s development team, which includes hundreds of hardware and software engineers, for a total of $1.1 billion in the hope of improving the Pixel line of smartphones. And now, after taking into account HTC’s losses during the first three months of 2018, the company’s latest financial disclosure reveals it managed to post a profit of $710 million during the quarter. This essentially allows the company to wipe the slate clean after its worst fiscal year ever – the company posted a loss of $580 million in 2017. In addition to this, it should also cut HTC’s operating costs significantly going forwards. Now the agreement between the two companies will undeniably make it harder for HTC to compete on a bigger scale going forwards, but considering its recent focus on VR, this may not be a bad thing. After all, for the past three years, HTC has been posting consistent losses due to its declining mobile unit, with only its VR business seeing strong growth. Nevertheless, HTC is yet to announce its exit from the smartphone business. 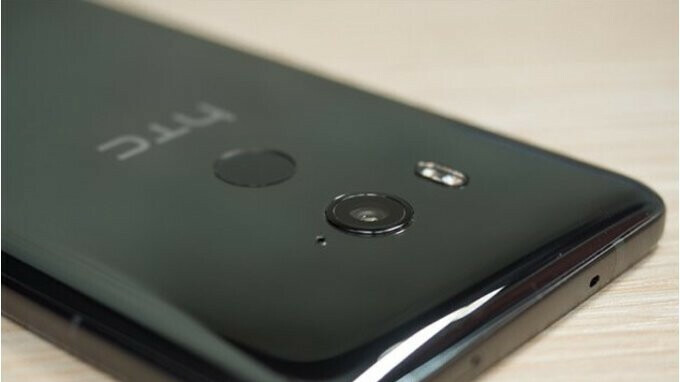 Instead, the brand is set to announce its next flagship smartphone on May 23, expected to be called the HTC U12+. If rumors and leaks are accurate, the device will feature a large 18:9 display along with a glass and aluminum build. In addition, Qualcomm’s Snapdragon 845 should be present on the inside coupled with 6GB of RAM and 128GB of internal storage. By next year or 2020 they will go downhill if they don't mangage price their whole products portfolio competively like their midrange and flagship phones and issue 2 software update and bring availability to their product in all markets.Still Htc can compete with Motorola,Sony.LG,Nokia and other top dogs chinese companies in flagship segments.This cash,profit will make Htc run good and churn few good handsets for few years. Still can keep up with LG in hardware and quality. Unlike Sony that barely can follow newer technology trend. But , (Sony) instead doing mostly trendsetter and beyond-technology discovery , that most people look away and instead finding the bigger brands to do first . For example ? Take a peak of 960fps Super Slow-Mo that Sony had done in the first place . Now you know what others do currently . HTC like Sony mobile is already dead but they still refuse to admit it. I personally don't think it's a case of not admitting it. I believe HTC is sticking around in the smartphone market in order to keep its name out there while the VR market establishes itself and becomes more mainstream, which is when a full exit from the smartphone market will most likely take place. If Sony stops making phones, where the other will copy stuff from? Samsung , Apple and Motorols lately are just copying. Still get all credits. And remember that 960fps Super Slow-Mo that introduced by Sony that called gimmicks last year ? They're becoming mainstream rapidly this year with Samsung , OnePlus and Huawei implemented it . It's to bad they are not doing better. The M7 was such a good phone. The guy we sold it to still uses it. That guy must buy a new lastest affordable good phone this year if can't afford one a better phone.you should advise him if he is not geeky person.What the point of using a 5 year old device even now when it's already near it's death state.Custom Rom is a different thing unless u r into it and know how to do it safetly without bricking it. Are you that stupid. Some people use their phone for a phone and don't care about the latest thing. If he is he happy with it and it works what does it matter. I'm glad they are back in profit but now they need a new design department. Roland Quandt says U12 wont be cheap. 64GB for Europe. His tweet has even the colors .